Up, up, jump and slide! 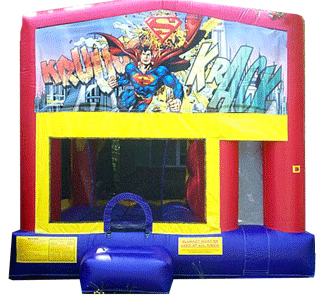 The Superman Combo is just the thing for the superhero kids in your life. A comic book adventure awaits! Inside are a 13-foot slide, basketball goal, jump area, and obstacles.